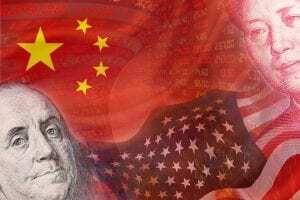 The United States is readying more tariffs against China if there is no positive momentum following a meeting between President Trump and China’s President Xi Jinping. Bloomberg News reports the new round will be announced if the talks during the G20 summit between the two fails. The new round, proposed to be announced in early December, would apply to imports from China not previously targeted by U.S. tariffs. The U.S. has already imposed tariffs on $250 billion in trade with China. And, ten percent tariffs on $200 billion in imports that took effect in September are due to increase to 25 percent starting next year. Trump has also threatened tariffs on all the remaining goods imported from China to the United States, worth $505 billion last year. China has targeted U.S. agriculture throughout the trade war, which has decreased markets for U.S. commodities in China.